A Year of Being Here: C. K. Williams: "Clay Out of Silence"
"Clay Out of Silence" by C. K. Williams. Text as published in Selected Poems (Farrar, Straus and Giroux, 2014). Hear the poet read this poem here. Curator's note: We mark the passing of another mindfulness poet. 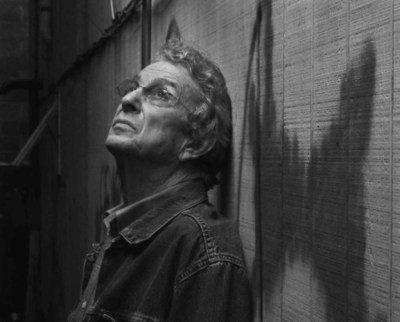 The award-winning C. K. Williams, whose writing expressed strong social conscience, died September 20th at the age of 78 from multiple myeloma. In an interview with PBS Newhour in 2000, Williams described the writing process as "a kind of fusion of will and submission and inspiration that’s quite marvelous, where something sometimes will—at its very best—seem to be happening through you and to you, rather than you making it happen." Art credit: Portrait of C. K. Williams by Oliver Morris. Thank you for sharing the "note." The poem is evidence but hearing the artist describe the process so accurately is a lesson in itself. You're welcome. Don't know about you, but I appreciate hearing creative people speak to their creative process! There are often life lessons, not just artistic lessons, in what they say.